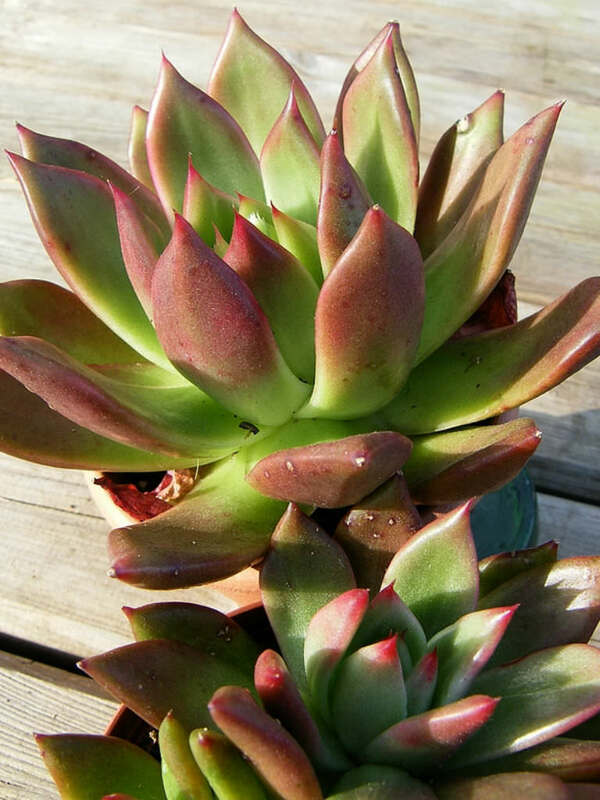 Echeveria ‘Margaret Martin’ is an attractive hybrid and results from a cross between Echeveria agavoides and Echeveria colorata ‘Lindsayana’. 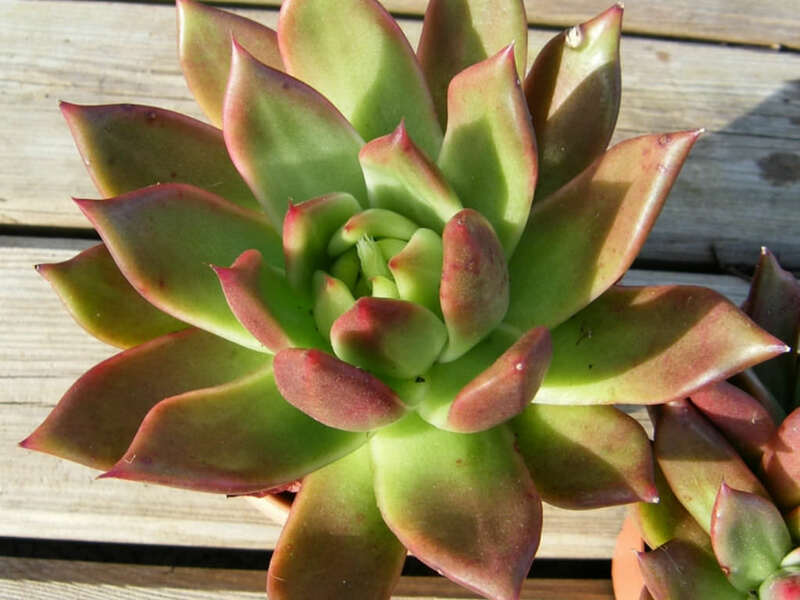 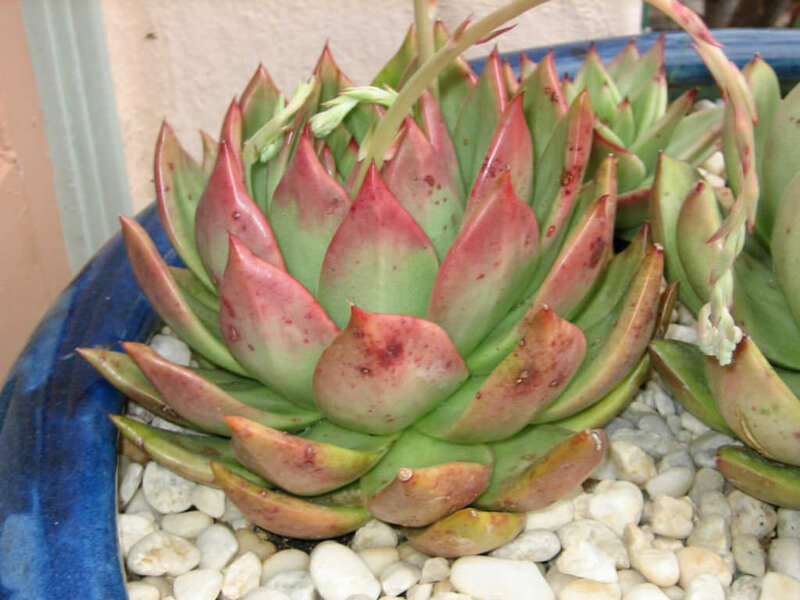 It is a rosette-forming succulent with a tight, up to 6 inches (15 cm) tall and up to 12 inches (30 cm) wide rosette of fleshy, apple-green leaves with a strong reddish-pink tinge near the edges and a darker red terminal spine. 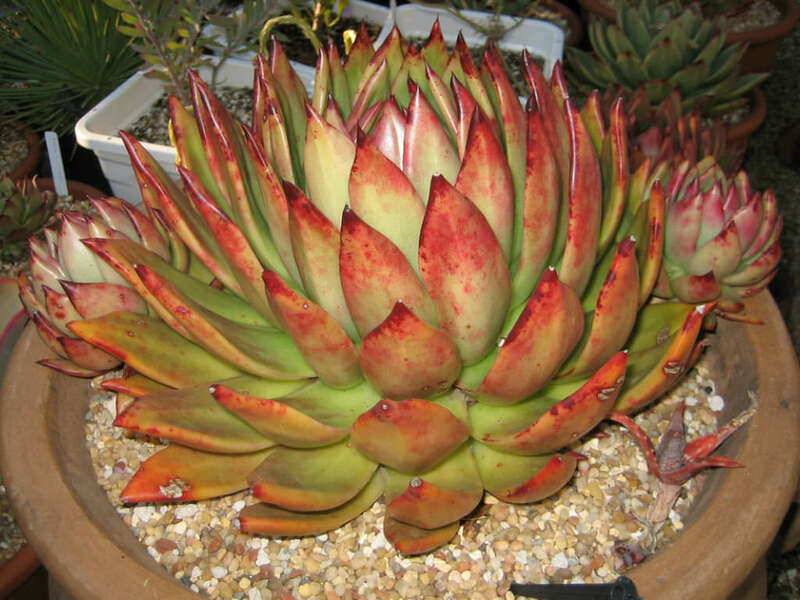 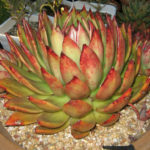 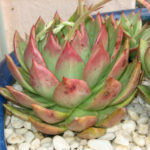 It is a hybrid cross between Echeveria agavoides and Echeveria colorata ‘Lindsayana’. 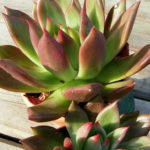 This name strictly belongs only to the plant created and sold by Margaret Martin.